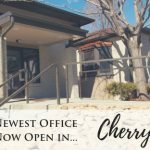 Our Sloan’s Lake Dental office is located on West 29th Avenue just northwest of downtown Denver in “SloHi” – where Sloan’s Lake meets the Highlands. We consider our patients from the areas nearby truly our neighbors and are passionate about providing the best quality dental care to them available. At Sloan’s Lake Dental, we accept most all dental insurance plans. Great discounts available with our Dental Advantage Plan. Our approach to your oral health is not about the single tooth, it’s about the whole picture. At Sloan’s Lake Dental, we approach your care comprehensively and consider your bite, your tooth position, and your overall health history. Do You Get a Bit Anxious? Our patients are busy people and we don’t expect them to work their life around our schedule. We have convenient hours that won’t make you miss work or school.We offer early morning and evening appointments during the week. And we also have weekend hours. We’ll get you an appointment when YOU need it! At Sloan’s Lake Dental, you will find a comprehensive range of dental services. Whether its crowns, fillings, implants, veneers, oral surgery, root canals, orthodontics or treatment for gum issues, we have the in-house expertise to handle your needs. You won’t have to face the headaches of setting up multiple appointments with different specialists around town. We appreciate teachers at Sloan’s Lake Dental! As a thank-you to teachers for all the work they do, we offer a $325 dental credit that is exclusive to current and retired teachers in the area. We love what we do and take pride in providing the highest quality, comprehensive dental care to our patients in Sloan’s Lake, the Highlands, and the other neighborhoods near downtown Denver. Our approach is ‘less is more’ and we treat only what is necessary to help you in maintain good oral health. We will be honest about what we see as a concern in your mouth and fully explain your treatment options. Gaining your trust and keeping you as a happy and healthy patient for the long haul is our goal. We also focus on prevention. By catching small things early, we can prevent the need for more complicated and expensive dental work later on. Contact us at Sloan’s Lake Dental today! We look forward to seeing you smile!